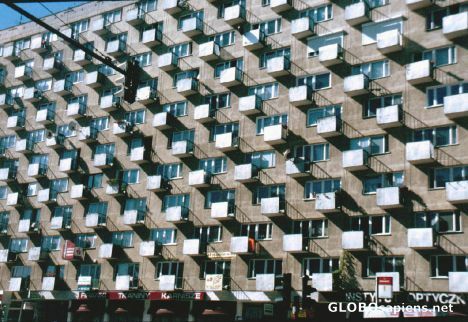 Looks like a small balconies, to me with, a view over downtown of Gdynia. I guess the squares are to large(look to the right of the immage) for airconditiones. It's an interesting shot which could probably have been made into five stars. But it's worth four stars for composition. What is that boom at top left?